Thinking of adding Catalytic drying to supercharge your shop? So have you heard the buzz surrounding Catalytic Drying for auto body shops? 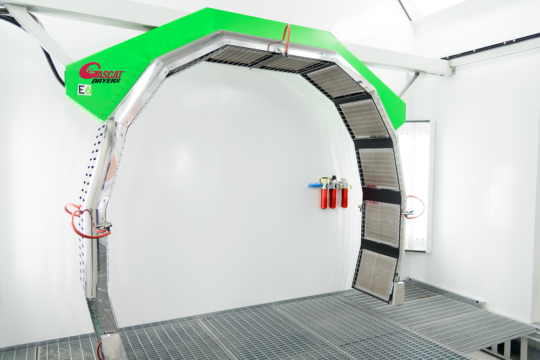 While catalytic drying is still very new to the auto body repair market in the US, you’re likely here because you have been doing your research and have questions about the alternatives to the traditional paint booth bake cycles and what exactly catalytic drying is. Which is why our website has been geared to give you the information you need to help you out with the decision making process – and keeping it all on one page when possible. To learn more about how gas catalytic curing works, click through our videos and learn for yourself why you may need it and why Gascat Dryers is the best solution on the market for today’s modern collision repair shops. How to decide what’s best for my shop? When learning about Catalytic drying systems, your first question is likely to be “Why choose Catalytic drying vs traditional convection drying”. Here we delve into the time savings from Catalytic drying. Now that you understand the speed difference in Catalytic drying, your next question will be Gas Vs. Electric, which should I choose? Here we discuss the difference in the two types of systems and the results they produce. Why choose Gascat Dryers versus the competition? If you decide that Gas Catalytic systems are the choice you want for your shop, the next question is “OK which one do I choose?” Here we compare our system to the three other catalytic drying systems on the market. If you’ve decided that a Gascat dryers system is right for you, then your last decision will be which of our three models you need for your shop and where to put them. This section discusses our models and what is different about each one.